A competition in Rochester this week will decide who among more than two dozen startups will win state funding and get in on the ground floor of the region's photonics industry. New York State is calling the initiative Luminate. 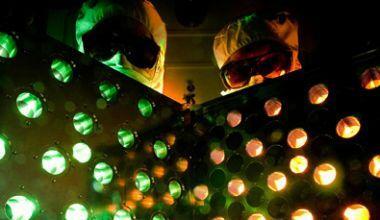 A panel of optics and photonics experts have chosen 26 finalists teams. Six are from Rochester and one is from as far away as the United Kingdom. Managing director Sujatha Ramanjuthan said the startups were chosen by a panel of optics and photonics experts, based on the novelty of their products ranging from medical devices to lighting and virtual reality. She said there are other important factors that were considered. "This can't be somebody's hobby or project. You have to show me that you have staffed this program with people who can execute it. That is very, very critical because a company always comes down to the people." Each of the teams will compete in a lightning round competition Wednesday that is open to the public. Ten winners will receive $100,000 to develop their startups, a spot in the High Tech Rochester accelerator, and a chance to compete for up to $2 million in additional funding. "We also are bringing in other investors, other than New York State, to look at these companies throughout the process who will help financially support these companies,” said Rumanjuthan. “If we do this really well and knock it out of the ballpark, then in June, every company gets investment." The public portion of the contest will be held Wednesday from 4 p.m. to 6:30 p.m. at the Hyatt Regency Rochester.